The Legal Aid Act 2000 provides for an Organization named “National Legal Aid Organization” which will organization and monitor proper functioning of this Act. The Act requires the organization to be formed by notification in official Gazette. The act provides that the management and administration of the national legal aid organization will be vested on a National Management Board. The head office shall be in Dhaka and the management beard will be headed by a chainman who is the Minister, Law, Justice and Parliamentary affairs. This Broad includes people from all walks of the society starting from MP’s nominated by the Speaker. Attorney General, Secretary of law, Home and Social Welfare, Inspector General of Police and Prison, Vice–Chairman of the Bar Council, the President of the Supreme Court Bar Association, the Chairman of the National Women Commission, three representative of any NGO’s nominated by the Government working for human right and legal aid which have activities in Districts, with the Director of the Board acting as member secretary. These members will be appointed for 2 years term. Provided that the Government may remove any of the member from the post without showing any reason. Under the provisions of the Legal Aid, 2000, National legal Aid Board will mainly act as policy – making authority and will formulate rules and policies to select a person and to provide legal aid to the people who are unable to get justice due to financial crisis and due to different socio-economic reasons. Frame the scheduled to provide legal, aid, take initiative to organize research and educational activities to provide legal aid, telecast different programs in order to create awareness among general people about the availability of legal aid in different print and electronic media, review the application rejected by the district committee, monitor the activities of the District Committee, publish different books, leaflet, pamphlets etc, for making people aware of getting legal aid, and any other activities necessary for the performance of the above mentioned activities. It is provided in the Legal Aid Act 2000 that the National Legal Aid Organization will have a director who will be appointed by government of Bangladesh and will be responsible for implementation of the decision of the organization and he discharge his functions in accordance with the direction of the Board. However, the director will appoint employees and staff with prior permission of the Government or the Organization. The District Legal Aid Committee is solely responsible to provide legal aid at grass root level subject to the available of found from the Government. The committee shall invite application from the seeker of legal aid screen the application, determine criterion for provision of legal aid and finally provide legal aid. According to the provision of the act, the District Committee shall consist of 13 member, including District and Session judge as Chairman, the District Magistrate, the Superintendent of Police (SP) of the District, the District Jail Super, an official of the District Social Welfare, if any, the District Women’s and Children’s officer if any, the Chairman of the District women’s Federation or his nominee, the President of the District Lawyers Association, Government pleader of the District, the Public Prosecutor in the District, Inspector of the District Civil Jail, if any available, one representative from any charitable society (NGO) in the District nominated by the Chairman of the District Committee, elected General Secretary of the District Lawyer Association, who will also be member – Secretary of the Committee, and also the Chief Metropolitan Magistrate and Metropolitan Police Commissioner if the district is in any Metropolitan City. The tenure of the nominate members of both the National and District Committee shall be for two maximum year and may be removed without reason by the government during the ternate. As per the provision of the Legal Aid Act 2000, the District Legal Aid Committee is responsible to provide legal aid to the people who satisfy the criteria as set up by the Broad of Governors and who are unable to get justice due to financial cries or due to different socio-economic reasons, to set up the conditions on which a successful applicant will get the legal aid; to make initiatives to make the people aware of availability of legal aid; to perform the duty invested by the Board and any other activities necessary for the performance of these activities. The Upazilla Committee will consist of one chairman and 14 other members. All issues relating to the Committee will be set up by the subsequent rules. The Act Provides for establish of a legal aid and fund for both national and district level. The fund of the Board will come from government, foreign donation, local bodies, any other sources such as any organization or companies etc. The amount of fund will be deposited in a government in the name of the Board. The amount can be drawn up by the joint signature of the Chairman and the member Secretary of the Board. In cases where necessary the District Committee will get found from this fund. The board will meet all types’ expenses from this fund. The Board will be able to invest this fund in any if the government authorized project. Fund of District Committee will be fund of District Legal Aid Committee Consisting of government donation, donation from the legal authority, company or person, donation from the foreign organization and any other fund obtained Committee from any other sources. According to the provision of the Legal Aid Act 2000, Financial assistant is to provided to the under privileged based on the fees they incur; for example lawyer’s court fees and other expenses. The committee that has been formed is responsible to utilize the funds, including criteria for eligibility. Funds are to come from national revenue but the official responsible believes that external support will be necessary to gad the programmed up and running. For the Supreme Court panel would include a group of lawyer who have practice experience not less than 7 years in the High Court Division; for District Court panel would include a group of lawyer who have practice experience not less then 5 years, once an application for legal aid is granted, the Broad or Committee shall appoint a lawyer from among those in the panel provided that in such appointment will be considered as far as possible. The legal aid lawyer and the court to whom the applicant is seeking redress will all necessary papers and document related to the case concerned free of cost except the court fees. 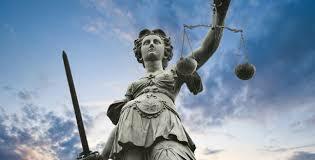 In the Legal Aid Act 2000, there is no reference as to the eligibility criteria to get legal aid. Subsequently, Ministry of Law, Justice, and Parliamentary affairs formulated guidelines and rules under section 24 of the Act to carry out the objectives of the Act. As per Legal Aid Rules 2001 the freedom fighter who is incapable of caring or partly incapable of craning or who is without any employment or whose annual is below six thousand taka; the person who is receiving old age honorarium; women who is holder of VGF Card women and children who are victim of trafficking women and children who are acid –burnt by miscreant; any person who has been allocated land or house in Model/Ideal villages, poor window, women deserted by her husband; physically or mentally handicapped persona who is incapable of carrying and without means of subsistence; person who is unable to established his/her right to defend him/her in a court of law due to financial crises; any person who has been detrain without trail and is in capable of defend himself due to financial crisis; any person who is recommended by the jail authority as financially helpless or poor; any other person who are considered by the Legal Aid Broad from time to time due to the financial crisis or any other socio-economic reason or disaster are eligible for availing legal aid . In this guideline, the phrase “poor and financially poor person” will be used to mean person whose annual income is not above three thousand taka. All application for getting legal aid must be submitted to the National Board of Legal Aid or in appropriate cases to the District Legal Aid Committee. If an application is rejected by the District Committee and the person feels aggrieved by that decision, than the applicant may prefer an appeal to the National Legal Aid Board within 60 days of the pronouncement of the decision of the District Committee. Apart from the previously mentioned provision, the Legal Aid Rule 2000 provides for following for how to make an applicant for Legal Aid. The candidate shall apply, along with his full name and address and the underlying causes foe his applicant. In a paper, if the applicant is made for legal aid for any matter in the Supreme Court, it is to be submitted to the Chairman of the Organization, on the other hand, if it is for legal aid in any contract, it is to be made to the Chairman of the Committee. The application accepted by the committee is considered in next meeting. If it is not possible for the committee to take decision based on the submitted information, then the committee may require for further information, and once any application considered to have been accepted. The application litigant shall be informed in the prescribed manner. taka 1000.00 for drafting of a written statement; maximum of taka 600.00 for preparing an application or written statement of any miscellaneous cases maximum of taka 500.00 for any interlocutory application or any reply of thereof, maximum of taka 100.00 for any time petition; maximum of taka 500.000 for final hearing of a family matter, taka 800.00 for hearing of a civil suit; taka 500.00 for argument of a criminal cases; and taka 200.00 for any argent application paid out of the legal aid fund. To conduct Criminal Cases in courts other than High Court other than High Court Division the panel lawyer will get paid per the rate the Assistant Public Prosecutors are paid and for conducting a case in the Supreme Court, maximum of taka 2000. Abdul Halim & N.E.Siddiki, ibid., p. 349. The Legal Aid, Act, 2000, s. 3. Abdul Halim & N. E. Siddiki, ibid., p. 354. The Legal Aid Act, 2000, s. 9. Abdul Halim & N.E Siddiki, ibid., p. 350. The Legal Aid Rules, 2001, R. 2. The Legal Aid Act, 2000, s. 16. The Legal Aid Rules, 2001, R. 3. The Legal Aid Rules, 2001 as cited by Abdul Halim, ibid., p. 318.